In the fall of 1973, I was a freshman at Harvard. The back windows of the main student dining hall looked out on Massachusetts Avenue, in Cambridge. Down the street was a gasoline station. Almost every day that fall, I looked out the window and watched cars lined up for fuel — if the gas station had fuel to sell. The story began earlier in 1973 — August, to be exact. In Riyadh, Saudi Arabia, Egypt’s then-president Anwar Sadat met with Saudi King Faisal. The two men negotiated a deal in which Egypt would attack Israel in October in what would become the Yom Kippur War. Saudi agreed to coordinate Arab use of oil as a “weapon” as part of the military conflict. We’ve lived with the results of that Saudi-Egyptian deal for over 40 years, but as I’ll explain below, it’s now coming to a crashing end. Not a moment too soon, some might say. OPEC Wreck: Allow me to digress. Have you filled the gas tank of your car lately? Right now, motor fuel is about as cheap as it’s been in many years. Not long ago in Baltimore, for example, I paid under $2 per gallon for gas, including tax. In fact, if you’re paying more than $2 per gallon almost anywhere in the country, it’s not the cost of oil (or the cost of refining or transportation). Gas over $2 is likely because of high fuel taxes in your state. Well, oil is cheap and — likely for a while — getting cheaper. What’s happening? Well, let me be blunt: OPEC — OPEC being the Organization of the Petroleum Exporting Countries — is a wreck. It’s headless — it’s been beheaded, so to speak, and to use a perhaps disturbing contemporary analogy. That is, once-almighty OPEC — the oil pricing cartel that struck fear into energy traders with a mere nod or wink — is now just a bureaucratic paper tiger. At OPEC’s last price-setting meeting for 2015, in Vienna, members mustered a mere memorandum stating that every nation can produce and sell whatever it lifts from the ground. No internal discipline. Let barrels flow, in other words. Some cartel, eh? There’s no “organization” to OPEC, not anymore. 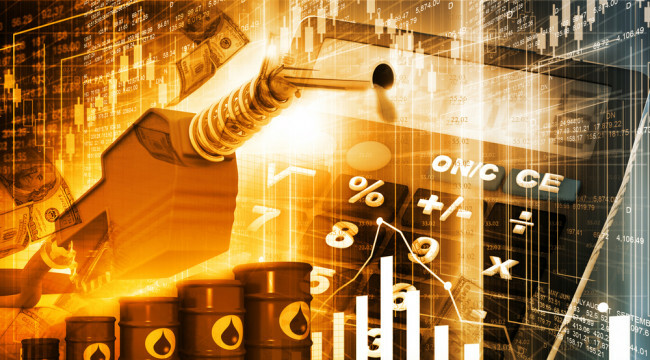 From Price Fixers to Price Paupers: This new “non-cartel” OPEC angle is reflected in global oil prices, such as Brent-quoted crude in the low-$30s per barrel; West Texas Intermediate (WTI) at $31 per barrel; and even Alberta oil sand bitumen selling at the eye-popping, desperation-low price of $20 per barrel. The new global oil price is whatever a seller can squeeze out of a willing buyer, OPEC or no. Meanwhile, virtually all OPEC nations require oil prices of $80, $90, $100 and more per barrel to raise sufficient revenue to cover national bills. OPEC member Venezuela requires oil at $180 per barrel to balance its national books — unbelievable! Over the past four decades, OPEC members painted themselves into a proverbial fiscal and spending corner. Relatively high oil prices over the long term seemed like a winning lottery ticket that paid off national debts every day, every week, every year. Yet now, in an era of low oil prices — without ample oil revenue from high prices — most national treasuries of most OPEC nations have to dip into reserves, sell assets, borrow or simply cut spending and let social discord flow. We’re a far cry from days of October and November 1973, when OPEC nations, led by Saudi, first flexed the “energy muscle” and announced oil output cuts and massive price increases. Indeed, at one point back then, the Shah of Iran — recall, this was pre-revolution — simply walked out of an OPEC meeting and announced to the world that the new price for oil would be $12 per barrel, not $3. Seriously, the Shah just did it. He took advantage of turmoil set in motion by the Faisal-Sadat deal and raised the price of oil just by saying so. There was no OPEC agreement on a $12 price. The Shah simply ran his mouth into a microphone. News flashed across the globe. World oil buyers sheepishly paid the new, higher price. OPEC laughed all the way to the bank. 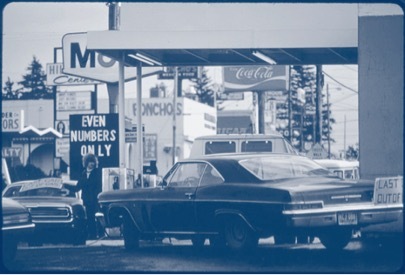 By March 1974, world oil prices were firm at $12 per barrel, or a 300% increase in under six months. Western economies were thrown for a total loop. The world economy suffered a serious recession. Henry Kissinger flew back and forth across the Middle East, striking deals with Arab potentates to price oil in dollars — the origin of the “petro-dollar” world in which we still dwell. Yet now the tables are turned. Instead of price fixers, OPEC members are price paupers in a low-price oil world. Indeed, Saudi finally cooked its own goose, so to speak. And on that point, let’s revisit the idea of OPEC with its head chopped off. Careful Saudi Screws Up: First, you need to know that kingdom of Saudi Arabia is kind of a “fake” nation. The country is relatively new on the world stage, established in 1932 by a tribal boss named Ibn Saud, who named the country after his family. There’s no Western-style legislature, just one tribe lording it over all the other tribes of the country. As you can imagine, the Saudi ruling clan has to be careful, lest some other tribe come along to take it out. To give you an idea of the current state of the country, Saudi actually has TWO military establishments, a national army and a national guard; one keeps an eye on the other. Meanwhile, Saudi princes and regional governors are quite deferential to very hard-line Wahhabi religious factions that can — and do — stir the pot. Over many years, Saudi has discreetly spread its Wahhabi (very “orthodox,” so to speak) brand of Islam across the Muslim world. Saudi has funded mosques on six continents (none in Antarctica, to my knowledge) and underwritten wars across the Middle East, such as Iraq’s invasion of Iran in 1980. What’s the secret to Saudi diplomacy? Keeping a low profile while writing large checks at home and abroad. At the end of 2014, Saudi finally screwed up big-time after many years of being very careful. That is, in November 2014, Saudi decided not to cut its own oil production, nor to champion OPEC supply discipline, in the face of rising global supply and softening demand. Saudi thinking was, apparently, that a short, modest price drop for oil would knock some of the new competition — fracking and oil sands — out of the supply side and firm up Saudi’s long-term market share. Instead, Saudi action managed to tank oil prices from over $100 down to the current range in the $30s per barrel. It’s been over a year now, with no relief in sight. Whoops. To Saudi’s “credit,” if that’s the right word, low oil prices have harmed Saudi oil competitors. Saudi has upended world capital spending in many an energy project, which will lead to bad issues in the future. For now, we see carnage in North America’s oil patch, with decreased activity in fracking, oil sands and offshore. We also see that same price pain across the globe in other oil patches. Call it a “trail of dead bodies” approach to running a business. Yet all is not well for Saudi. The kingdom is rapidly burning down its foreign reserve accounts to pay for national spending that it formerly funded out of oil revenue cash flow. Looking ahead, even raging optimists see oil prices moving to a plateau in the $60s per barrel. Meanwhile, Saudi is spending down over $10 billion per months to pay bills and borrowing from the likes of International Monetary Fund (IMF). At this rate, Saudi will be broke by 2018 or so. Another misstep for Saudi has been to fund “too many” of those infamous religious wars. Saudi is engaged in direct combat in Yemen, where its troops and U.S.-supplied equipment are giving a poor show. Saudi also backs ISIS in Syria and environs, which places the kingdom in direct conflict with national interests of the U.S., Russia, Europe, Iran and others. How much longer can this all go on? Well, it reminds me of the old saying that something that cannot go on will eventually come to an end. Sooner. Later. Eventually. My take is that Saudi will show distinct signs of stress this year. The money isn’t there, and I see no relief in sight. I anticipate political and military blowback against Saudi as the year unfolds. We could see internal riots by no longer subservient tribes. We could see embarrassing military setbacks in Yemen. We’ll likely see further political-military setbacks for Saudi over ISIS. And Saudi will continue to burn down funds in an environment of low oil prices. As I noted at the outset, OPEC is beheaded, and the architect of OPEC’s rise to great heights has now created the seeds of its fall. P.S. : Get insight, insider scoops and actionable investment tips twice a week with Daily Resource Hunter! Just click here for a FREE subscription!